The magic touch of our professionals makes appliances repair the best remedy for all problems. Which appliance isn't absolutely necessary these days? Both residences and thousands of businesses in California do own a large number of appliances either for daily convenience or as part of their job. 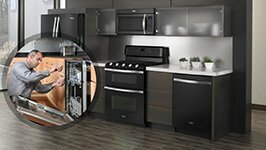 Their significance to health is equally tremendous and that makes the work of our Los Angeles Appliance Repair experts even more important. Whether appliances are small or big, installed in kitchens or shops they are enormously helpful and their good operation is a must. Primarily known for the 20th Century Fox, the Paramount Pictures and its entertainment world, Los Angeles is also home to thousands of businesses and residential areas, which need our services. We make appliances work at their best! 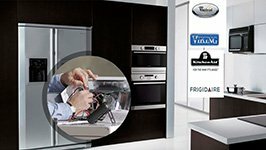 With our excellent commercial and home appliance repair, we guarantee functionality, fewer problems and safety. We are top for appliances repair service. From new age microwaves to classic ovens, dishwashers and dryers, we are a team you can trust for all appliances needs. We install and maintain them, have expertise in their troubleshooting and make sure problems are handled properly and with speed. 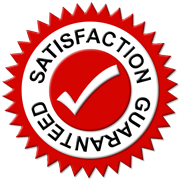 As masters in kitchen appliance repairs, our work is invaluable to homeowners as much as restaurants, cafes or hotels. 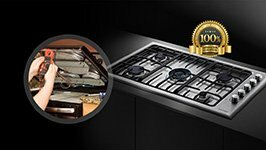 Every professional at our Magic Appliance Repair in Los Angeles has both experience and knowledge of all types of appliances. We have the solutions to their problems, work with state of the art equipment and are fast in our response. Our team excels in both regular and small appliance repair and shows great zeal when the problem is urgent. 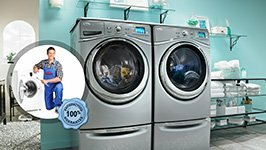 Thanks to our professionalism and due to the great organization of our professionals, we are the fastest Appliance Repair Los Angeles team. With our expertise and specialized knowhow, we do take care of any issue related to fridges, washers, freezers, stoves and any other appliance and our service is efficient. You can be sure for our integrity as professionals and as people. Every appliance service technician of our company is reliable, respectful towards the client's property and wishes, and skilled. You can count on our team for both appliances installation and repairs and be certain of our excellence.